The glistening neoclassical decoration of the Concert room was restored in 2006 thanks to an opera enthusiast, Robert Wilson, who after a stroke in 2013 gave away his fortune and leapt to his death from the 16th floor of his apartment building. But his legacy lives on! He was a philanthropist multi millionaire who gave $500,000 for the repair of the Hall on condition match funding was found. Support from the World Monuments Fund lead to a £23 million project to restore the whole building. On first seeing St Georges Hall the WMF reports Bob Wilson to have described it as ‘a big mausoleum in one of the most beautiful cities in the world – certainly a hell of a lot more beautiful than London’. There was no need for further decoration or stage setting. The large Victorian stage with just the piano awaiting a pianist was a focal contrast to the sumptuous circular cream and gold room. It fed the feeling of anticipation that we were going to hear something special. 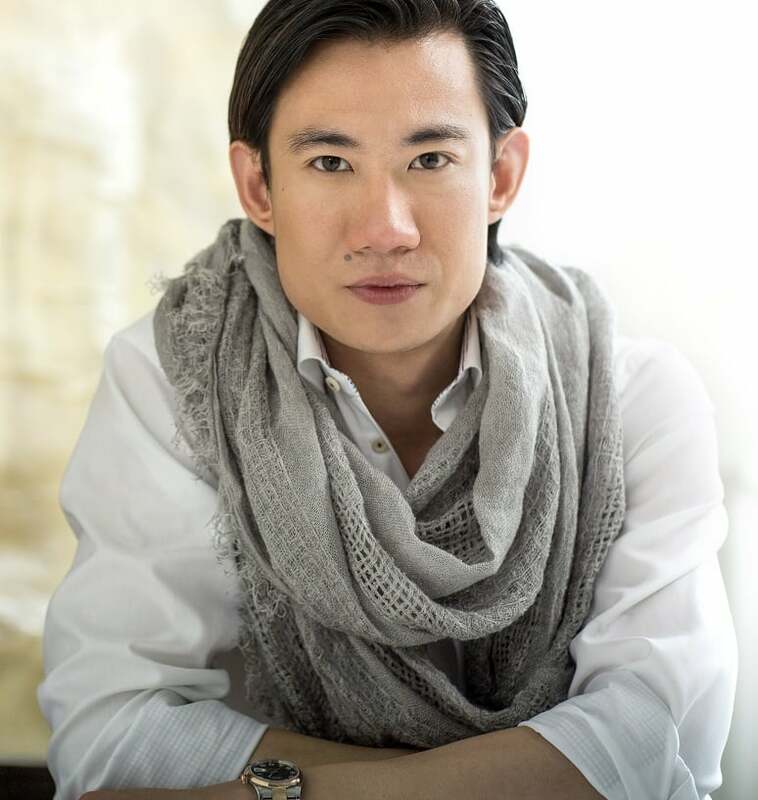 Yunpeng Wang is a member of the New York Metropolitan Opera and has won a number of awards including three prizes at Placido Domingo’s Operalia. This is a world opera competition to launch the careers of the most promising young opera singers. It is likened to ‘ the Olympic Games ‘ for opera where opera singers from all over the world compete in the most important and prestigious vocal competition in the world. Yupeng Wang has a large Chinese following and many in the audience were from the Chinese community in Liverpool. They could not have been disappointed. His last solo broke with the usual songs from European opera and was a melodic classical Chinese melody, clearly familiar to large numbers of the audience. The Liverpool Opera – Four seasons production are introducing to Liverpool, the operatic stars of Placido Domingo’s Operalia. Their eventual plan is to bring fully staged opera productions to the city, with worldwide, celebrated opera stars who have appeared in the likes of Teatro alla Scala, Vienna State Opera, the Metropolitan Opera and London’s Royal Opera House. The evening’s programme included old favourites from popular opera, operetta and Spanish masterpieces including Charles Gounod’s Romeo and Juliet, and Mozart’s Don Giovanni, and The Marriage of Figaro. Wang sang this last year in China , making his role debut as Count Almaviva at the spectacular National Centre for the Performing Arts in Beijing. Yupeng Wang has described Verdi as his favourite composer, and his interpretation of ‘Di Provenza’ must confirm it as his favourite aria. His convincing characterisation brought the music to life and it was easy to forget the challenge he had of singing an older character at his young age. There was delightful interplay in the duets, with both singers clearly enjoying themselves and utterly at ease with the music and their roles. He was partnered by Europe-wide famous soprano Ingrid Kertesil, the lead soprano of the Budapest Opera, She sings in the Comic Opera in Berlin, and is lead soloist for the Hungarian State Opera. Her international career has taken her to Israel, France, Switzerland and Italy, in addition to appearances in Japan. She gave a beautifully clear rendering of Giulio Caccini’s Ave Maria, with the audience spell bound by the simple melody. There was delightful interplay in the duets, with both singers clearly enjoying themselves and utterly at ease with the music. The accompanist was accomplished local pianist and music teacher, Kirsty Ligertwood. Her striking dress, which some in the audience attributed to Vivienne Westwood, was in marked contrast to Kertesi’s plain black. In addition to her skill at the piano, the dress was the cause of much admiring attention! Providing such skilful accompaniment at short notice, to world class soloists who she has not previously worked with, was no small achievement. There were many comments from the audience who appreciated the way she rose to the challenge of the varied programme. The soloists too were quick to express their appreciation of her playing. This was an enjoyable informal evening and the three musicians were rightly rewarded with a standing ovation. The impressive concert room provided just the right intimate atmosphere for some marvellous music. It is certain that Yunpeng Wang will be a name to be remembered in the world of opera, and we were lucky to have been the first to hear him sing in the UK. The evening featured: Yunpeng Wang, Baritone; Ingrid Kertesi, Soprano; Kristy Ligertwood, Piano.